On Saturday night, Dec. 15, 2014, 50 Colorado Springs children flew to the “North Pole” on SkyWest Airlines’ Fantasy Flight. 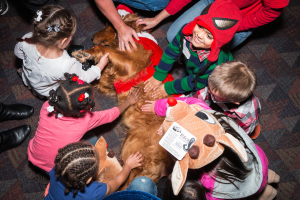 There they were able to experience the magic of Christmas at a special event dedicated just for them. 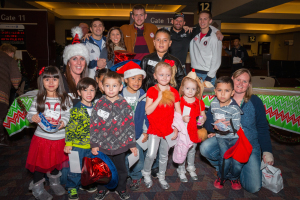 This is the eighth year running that SkyWest employees have partnered with community volunteers to organize the Fantasy Flight and transform Colorado Springs Airport’s East Terminal into a winter wonderland. The evening began with dinner, autographs from local Olympians, a petting zoo, face painting and a special appearance by Sky Sox baseball’s Sox the Fox mascot! 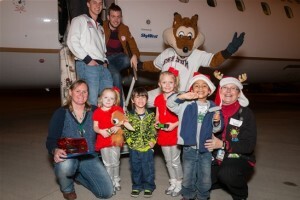 The little passengers then boarded SkyWest Airlines flight 1225 to the “North Pole” and took off on what was, for many of them, their first flight. As they took to the air, flight attendants sang Christmas carols with the kids (although not always in tune), and watched as the children gazed with wonder out the window at the world below them. 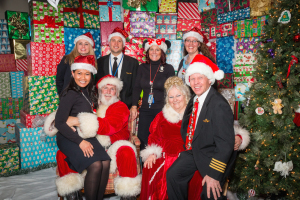 After a magical, 30-minute flight filled with laughter and song, they had arrived at the “North Pole” (COS East Terminal). The children excitedly hopped off the plane and ran up the jet bridge, anxious to see Santa and tell him their dreams for Christmas morning. When they entered the room, they were greeted by family and friends, and of course, Santa and Mrs. Claus themselves! They played games, did crafts, and snacked on cookies and hot chocolate while they opened the gifts that Santa brought them. The atmosphere at the “North Pole” was clear throughout the night: This was a magical experience that the kids and their families would remember for years to come. Children aboard the Fantasy Flight are enrolled in CPCD’s early childhood education programs. These children live at or below the federal poverty level, have an identified special need, or have a fragile home situation that puts them at risk for school failure. Reaching out to provide them with a magical holiday event is always rewarding, and a lot of hard work and preparation goes into putting it together. 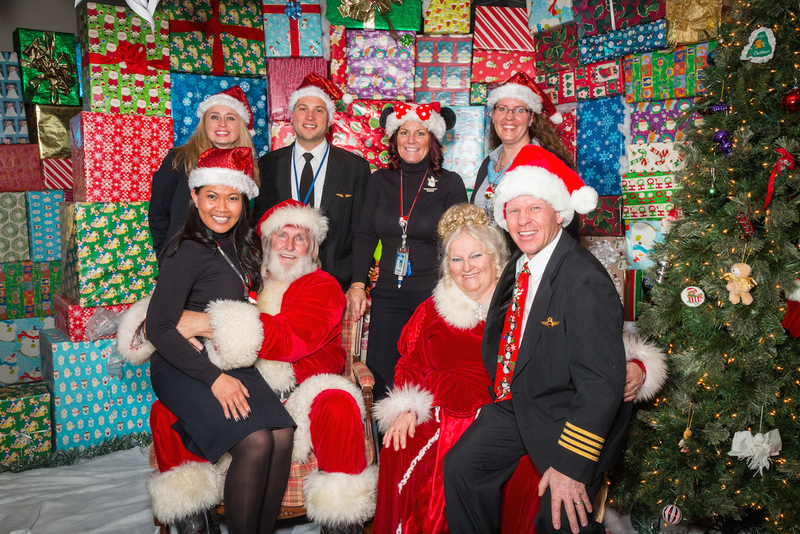 Everything from dinner and the volunteers’ time, to the gifts, fuel and aircraft are all generously donated by SkyWest and all of the volunteers who are anxious to give back and help these children have a magical Christmas experience.